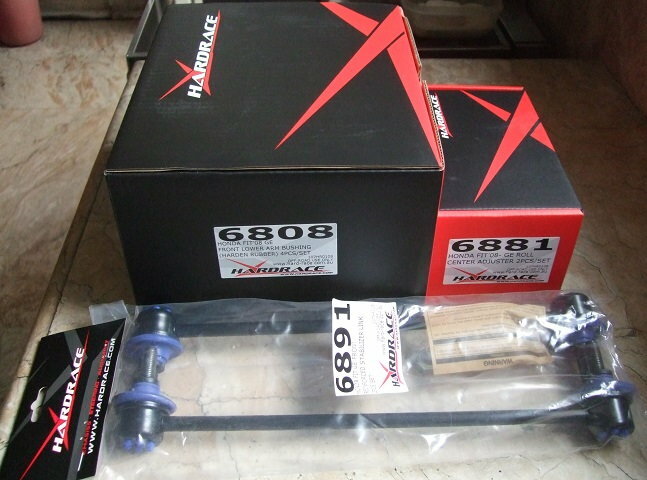 I ordered extended ball joints, lower arm bushings and stab. links. Shipping took about 3 weeks from Taiwan to Manila. Finally had them installed last week. Planning to order shock mounts and engine mounts later on. I only took pictures of the boxes when they arrived. Contents look exactly like the pictures on their website so I didn't bother. I haven't taken installed photos yet. I'll probably do that, and upload, this weekend. If you're wondering why the part numbers seem incorrect for the GK, that's because you're right, those are not for the GK. They're for the 2nd gen GE. So whatever pictures I send probably wouldn't be too meaningful. Pardon me, I know I'm in the wrong forum. But the thread is about Hardrace. And now you know where to buy them. No worries, thanks for sharing with us the parts you ordered. Let us know how they feel if you ever get a chance to share! 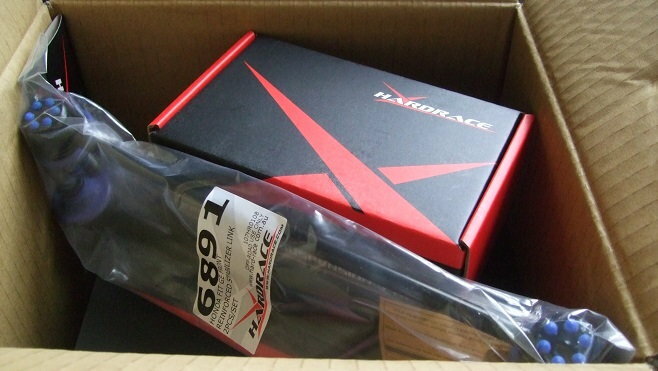 I'd like to report that I was able to order Hardrace parts through hardraceusa.com. They take a while to come, and this is looking like about a month total shipping time, but I'll be having the lower arm bushings along with Megan RCAs installed within the month. looking forward to the results! See you at the next Fit meet? anyone with hard race items installed, able to share some pictures and a review? Not much of a review, but I can tell you that RCA's (Roll Center Adjusters) a.k.a. extended ball joints are a must for anyone who lowers their ride yet cares about handling. Control Arm Bushings (street version) are good if you run less than perfect roads; feels like there's more rubber down there. Otherwise, OEM is sufficient. Though I like the 25mm shorter stab. links, I can't help thinking "shouldn't they be longer to get the sway bar back to OE position?" Maybe they flex less than OE links? mind elaborating for us a little more? in what ways did it improve handling on a lowered car? i already have adjustable endlinks, front strut bar & front lower control arm brace. feels great with my cusco street zero a, i am currently running full stiff up front and rear 2 clicks from full stiff. Last edited by cybonic86; 11-11-2018 at 11:44 PM.